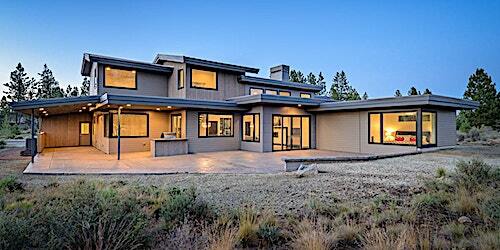 Over the last several decades, outdoor living spaces have increased in priority for both homebuilders and buyers. Consumers everywhere across America have placed an importance on having decks, patios, and porches to expand their living space – utilizing the exterior landscape of the home. Today, magazines and television often inspire people to create their dream oasis, relaxing retreat, or that perfect poolside barbecue for entertaining friends and family. The data clearly indicates that outdoor living trends continue to be on the rise. Porches and patios are a great way to get more out of your real estate. Outdoor living spaces can inspire a host of endless ideas. The addition of a porch can increase the value of your home’s equity as well as resale value. Outdoor design plans can help meet your needs as a homeowner or influence a potential buyer when it comes time to sell. This chart shows that patios especially have grown in popularity since 2010 while porch design has remained steady - demonstrating the desire by homeowners for grander, more comprehensive outdoor living spaces. 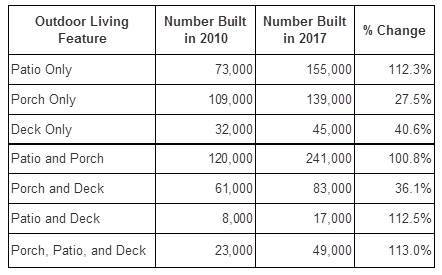 Taking a closer look at the data, new construction single family homes in the United States have consistently reported a gradual increase in outdoor living structures such as patios, decks, and porches. The following table examines what features consumers built (by number) in 2010 and 2017. A porch, also referred to as a veranda or a portico when it is very small, is a physical extension of the home that is covered by a roof. Traditionally, small porches were set at the entrance of a home to greet guests and protect visitors from inclement weather. 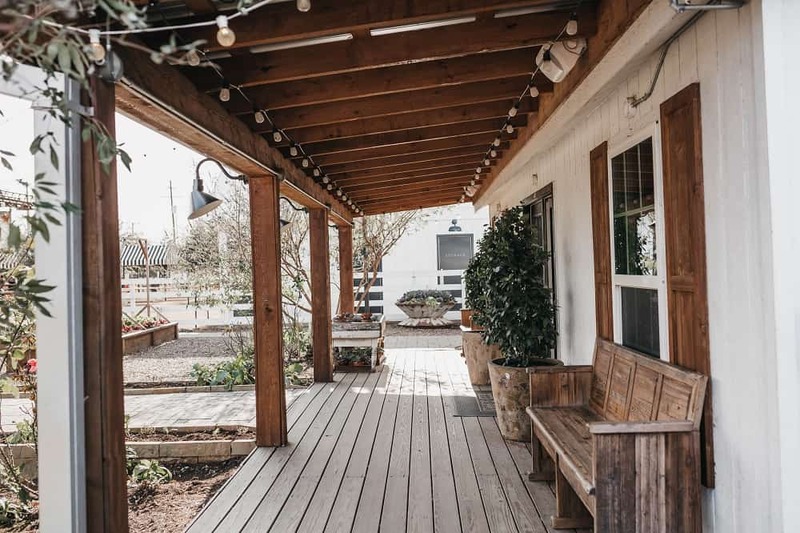 Porches have expanded over the years from accommodating rocking chairs and porch swings to creating a gathering spot for family, friends, and neighbors, as well as connecting to nature. As an architectural feature of the house, a porch should be consistent with the style and era of the home. When remodeling an already existing porch, adding a new porch entirely, or working with new construction from the ground up, a porch should naturally blend in with the rest of the structure and aesthetic. 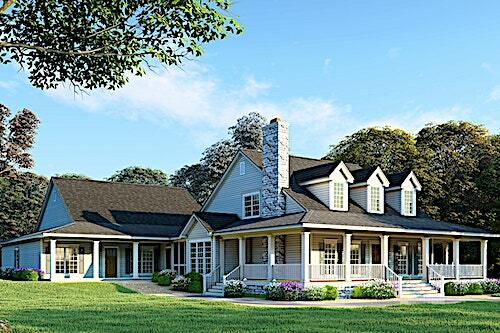 The 8-ft.-deep covered fron porch on this Contry-style transitional farmhouse is designed to be built with house, but because it's not integral to the roof structure may added on afterward if the homeowners desire. Stretching across the two main front windows and entry, the porch provides protection from weather and a place to relax and watch the world go by (Plan #142-1185). Building a porch on an existing house can increase the value 8% to 12%. The enjoyment alone – in addition to increasing resale opportunity – is a great reason to build a porch. 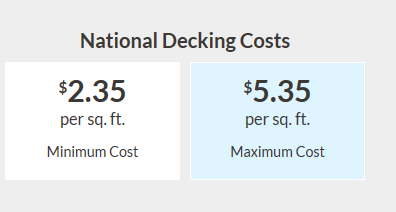 The following numbers represent a national average of the cost to purchase supplies necessary to build a basic deck. A contractor or skilled laborer is necessary to install the deck, and additional costs would be added to that total. While a deck is often the base for a porch, the cost of a covered porch is significantly higher. Improvenet.com further states that an average cost to build a screened-in porch from the ground up would cost approximately $70 per square foot. A nice but simple 6 foot by 12 foot screened-in covered porch would cost about $5,000. The more features you add, the higher the cost. Keep in mind that luxury features like vaulted ceilings and stone fireplaces are going to add to the price tag. The addition of a screened-in wrap-around porch with windows might cost upwards of $30,000. While this may seem like a significant cost to some, the value of the outdoor living space added to the home is comparable to a kitchen remodel. Design plans for the porch are often an additional cost but well worth the investment. Depending on the size of the porch you want to build you may need a permit, so you should check with your local building department. Fees associated with permits to build a porch are often nominal; check with your local agencies as you calculate your budget. Grand wrap-around porches are still popular for individuals looking at building homes today. Porches can be built or transformed into luxurious outdoor living rooms that feature furniture from swinging beds, dining sets, lounge chairs, couches, televisions, and sound systems. Depending on your geographical location, screening in a porch can provide a pest-free environment, and the addition of glass walls, windows, or doors can increase the usability of the space into all four seasons. The addition of a porch can be essential to a new home or bring new life to an old one. The wrap-around porch on this 6-bedroom, 4-bath luxury Country style home is a classic feature of the farmhouse. 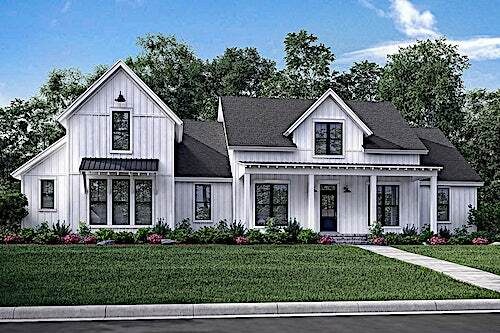 Note the porch in the rear at left for the in-law wing of this home (Plan #193-1017). Porches often have wood or composite decks. Outdoor furniture, ceiling fans, and even rugs can be used to style the space to create a living-room feel that is an extension of the interior of the home. Various materials, such as brick, stone, and tile ,are other great flooring options to enhance your porch. Porches often have railings and columns that are both decorative and a safety feature. The porch columns and railings should coincide with the vibe of the house. A rustic cabin might have rough-hewn timbers. A colonial home could feature traditional round white columns and white painted railings. Other homes use wrought-iron railings and columns for a decorative note but which also provide safety. Is there such a thing as a porch that is too big? 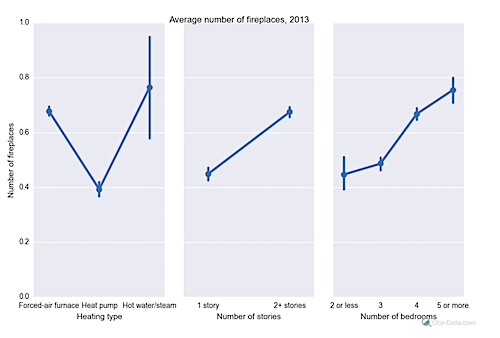 Exterior doors typically range from 30 inches to 36 inches. A standard porch must accommodate the opening of the door and be a minimum of 4 feet deep to allow an individual to stand on the porch with the door open. Typical porches are 4 to 6 feet deep. A simple porch with a few rocking chairs and just enough room for a person to pass through may be all you want, need, or can afford. If you want additional furniture, such as an outdoor dining table, porch swing, or outdoor sofa, you would need to consider expanding the deck size to 8 feet or deeper. This nice-size front porch is classically rustic in nature and is roomy enough to enjoy the outdoors without feeling cramped. Note the lights along the underside of the roof for nighttime enjoyment. While porches are a structural extension of the house, a patio is often near or adjacent to the home and built on ground level. Often located in the backyard, the traditional concept of the patio alludes to “open” space. While patios can be open and airy, they can also be covered, fully enclosed, or a combination of all three. Multifunctional features such as a dining area, fire pit or fireplace, barbecue area, poolside lounging, yard games, and much more can be incorporated into your modern patio. Outdoor kitchens are still a popular trend that would enhance any patio. Awnings and pergolas can be a great way to add coverage to a patio. A simple patio can be relatively inexpensive to install. Concrete, stone slabs, pavers, or loose gravel are the basic materials one might choose from to build a patio. Patios must be built on level ground, so take that into consideration when assessing cost and design. This large rear patio on a 5-bedroom, 3.5-bath Mid-Century Modern style home wraps around two sides of the house. The expansive space and grilling area at left center provide lots of opportunity for outdoor living and entertaining (Plan #202-1021). The cost to install a simple patio is far more affordable than building a porch. That said, elaborate patios with enclosures, pergolas, fireplaces, and so on can increase the cost drastically. While a covered screened-in porch can be in the ballpark of $70 per square foot, a patio can cost $21 per square foot according to fixr.com. A patio that is 12 feet by 16 feet can cost $4,032 at this rate. Pavers can cost anywhere from $12 to $22 per square foot. Using pavers can upgrade the look of your patio versus just pouring a concrete slab. Creating a patio may be more cost effective than building a porch, but if it’s not covered it can limit the usability of the space. Depending on your geographic location and landscape, weather may be an issue. Patios can be covered to increase usability where desired. Whether you install a concrete slab, use stone, or lay fabricated pavers, the average patio is 16 feet by 18 feet. The size and shape of a patio can be contingent on the terrain outside your home. You can adjust the layout of your patio to nearly any shape or size to meet your needs. Literally, think outside the box; a kidney-bean-shaped patio design could be an interesting choice to complement your home aesthetic. Curb appeal is essential when selling your home. Both new-construction homes and houses that have stood throughout the ages can benefit from a well-thought-out porch or patio. If you’re building a home or selling a house, a porch or patio can increase the resale value. According to Kiplinger, 87% of homebuyers want an outdoor patio area. Though there are mixed reviews on how much the addition of a porch or patio will increase the value of your home, a recent statement from supermoney.com suggests that outdoor living spaces can increase your property value by 8% to 12%. Furthermore, a homeowner installing a porch, deck, or patio can anticipate approximately 80% return on investment. Outdoor living areas are on homebuyers’ wish lists across America. While the actual monetary value of the home may only increase slightly with basic upgrades to decks, patios, and porches, the house itself may sell faster if these additions are made and maintained. A quick sale because you incorporated outdoor living features into your home design may save you lots of money and stress in the long run. Porch vs. Patio: Which Outdoor Living Style Will You Choose? Today, many home designs have a combination of porches, decks, and patios. Ask yourself what are your intentions for this space? Will you be hosting guests and friends or do you see the space primarily as a place to read or write and relax? Is a high-end outdoor kitchen a priority feature, or are a hammock and fire pit more your style? More than likely your outdoor living area will serve a variety of functions. 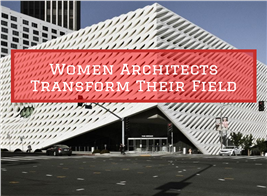 First, determine how you will be using the space most. Does that space need to be covered? How much is your budget for the project? What is the best location for your outdoor living area? A front porch that is extra wide and spans across the front of the house lined with rocking chairs may be just the design you want. A stone path may lead you through edible landscaping to your private backyard patio. To get started, assess the space you have; determine your budget; research local contractors and the materials you want to use. With this all in mind, you can begin designing your perfect porch or patio. Remember that the design part can be fun. Enjoy the process of seeing your creation come to life. Once all of the hard work is done, you can relax and play in your new outdoor living space – or at least have it all ready for the next homeowner to enjoy.